Thousands of Sikh worshippers took part in a sunlit procession as part of the annual celebrations marking Vaisakhi. Between 2,000 and 3,000 people gathered outside the Guru Nanak Gurdwara in Well Lane, Wednesfield this morning in a tradition which dates back centuries. As is tradition, the procession was led by a drummer, followed by sword bearers, Khalsa flag bearers and a float carrying the Sikh holy book, the Sri Guru Granth Sahib. The celebration marks the anniversary of the initiation of the first five members of the brotherhood of the Khalsa on April 13, 1699 – one of the most significant dates in Sikh history – as well as ushering in spring. Following prayers the procession began its three mile journey to the Guru Nanak Sikh Gurdwara on Walsall Road, Willenhall. The Vaisakhi festival is celebrated by Sikhs in April every year and the community marks this occasion by having an annual procession. 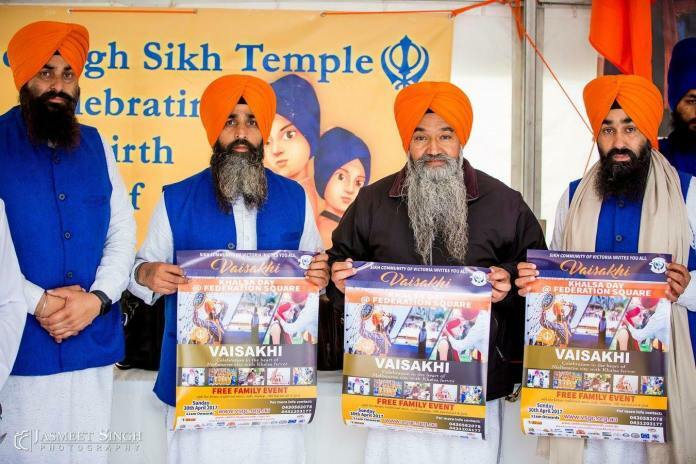 MELBOURNE — Thousands of Sikhs participated in Dandenong Vaisakhi Nagar Kirtan on 9th April Sunday morning to mark annual celebrations of Khalsayee festival of Vaisakhi. Vaisakhi marks the birth of the the creation of the Khalsa and is one of the most significant dates in the year for Sikhs. 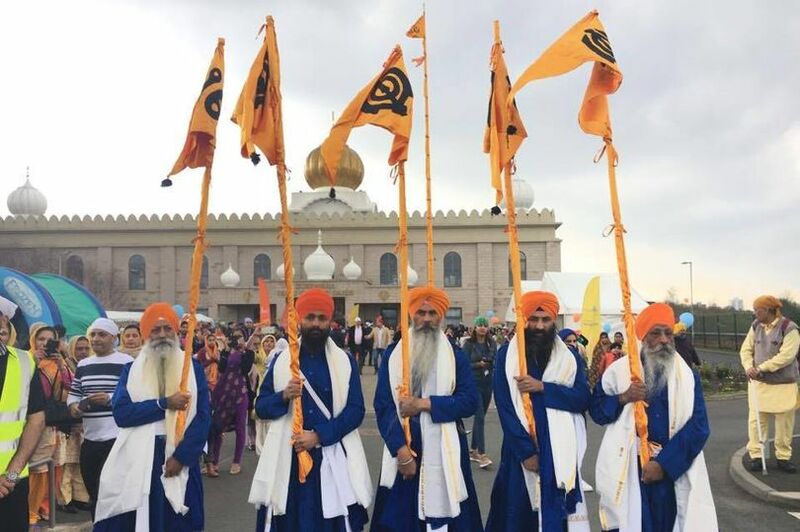 The procession commemorated the anniversary of the initiation of the first five members of the brotherhood of the Khalsa on April 13, 1699 – one of the most significant dates in Sikh history – as well as ushering in the spring. The Nagar Kirtan is a Sikh tradition in which the procession sings hymns and hands out food as they walk through the community. Gurdwara Sri Guru Granth Sahib, Keysborough organizes the event each year. The Dandenong Vaisakhi Nagar Kirtan started at 9:45am with Ardas ceremony at Dandeong Plaza and concluded at Dandenong Park. Despite heavy rain and weather chaos, there was a massive participation of Sikh Sangat. Roads were closed along the route as people walked through the streets for the huge parade, which saw a major float decorated with flowers carrying Sri Guru Granth Sahib ji, panj pyare (five baptised Sikhs) dressed in traditional dress lead the way behind a group of sweeper clearing the road for their bare feet. At the Dandenong park, a stage was setup, where Dhadi Jatha of Giani Fauja Singh Sagar performed and sang dhadhi vaars. Hundereds of kids wearing dastars also sang shabads and other spiritual singing performances. There was plenty of free food to all and singing hymns, with displays of gatka (Sikh martial-arts) as part of the celebrations. The Sikh Community in Scotland gathered in their thousands to celebrate the historic Sikh festival, Vaisakhi. 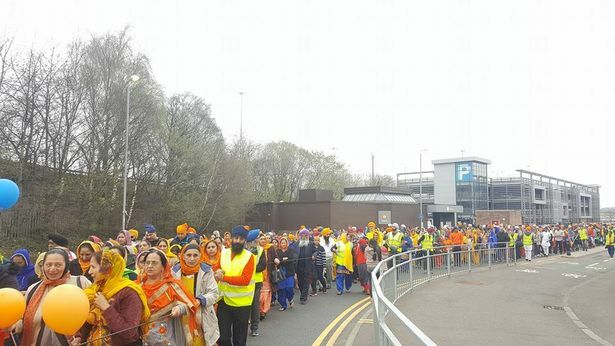 The Vaisakhi festival is celebrated by Sikhs in April every year and the community marks this occasion by having an annual procession, which weaves thousands of Scottish Sikhs through the heart of Glasgow. This year’s procession began at Glasgow’s West End Gurdwara on Otago Street on Sunday before heading to Central Gurdwara on Berkeley Street and then proceeded to the Southside Gurdwara’s at St Andrews Drive, before the finale of the procession at the Glasgow Gurdwara on Albert Drive. Thousands of Sikhs from across Scotland have taken part in this annual procession, which this year celebrated its 25th anniversary. The first procession took place in April 1992. 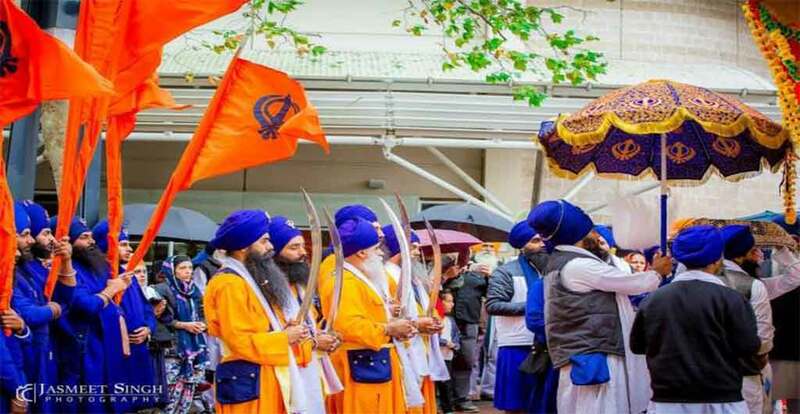 Gurdwara President, Mr Labhaya Singh, said: “Sikhs celebrate Vaisakhi every year to commemorate the creation of the Sikh Nation, the Khalsa in 1699 by Guru Gobind Singh, the 10th Sikh Guru. “Vaisakhi reminds Sikhs worldwide about our responsibility to preserve human rights, promote equality, practice compassion and implement selfless service into our daily lives. “For the last 25 years the Glasgow Gurdwara Council, have held a city-wide procession through Glasgow called the Nagar Keertan .